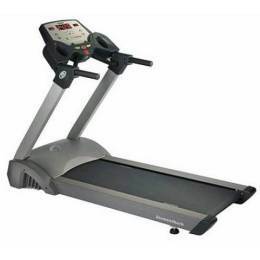 Diamondback 400Tm treadmill is a one of the best treadmill within the 1400 $ range. This low-maintenance product has a cushioned deck with silicone lubricant gives you plenty of room to reach your stride- a full 20"x58". It has a maximum user capacity of 325lbs. Manual mode with Quick Start option. Life frame and 5 year warranty on parts is highly attractive. 5 large LED data displays with easy to select data buttons. Console Feedback: Incline, Speed, Time, Distance, Pace, Calories, CAL/Min, Heart rate & % max HR. Belt: 2 ply anti-static belt. Frame: Lifetime limited warranty, covers defects in welds, materials and workmanship. Normal wears Items: 90-day limited on foam grips, etc. ToughTrain 4.0 out of 5 A strong treadmill having above than average features and available in a very reasonable price. TreadmillDoctor.com 7.26 out of 10 Diamondback pulled a rabbit out of their hat with this one. *Note: Most of the sites, stores or shopping portals listed above sell Diamondback 400Tm Treadmills with discounts and other exciting offers. There is a possibility that the some of above websites are not selling Diamondback 400Tm Treadmills now. Toughtrain.com is not liable for such cases or instances. Also we do not recommend any seller for Diamondback 400Tm Treadmills and a buyer should buy from where he/she gets best deal with quality of products, service and on time delivery (shipment).